In the world of retirement planning, Fixed Index Annuities or FIAs have grown up and weathered the storms of adolescence to become a well rounded and stable retirement income choice. A look at the history of these retirement income vehicles provide some key insights to how they have evolved to answer the income, growth, and legacy planning needs of millions of Americans. Read on to find out more about the beginnings of FIAs. FIAs entered the financial scene with a bang rather than a long pondered or meandering progression of product changes. The big bond market massacre of 1994, where federal interest rates ratcheted up 1.5% in one year caused massive flux with cautious investors. Nothing was safe. It was tempting to just hide money in your mattress again, which is never a good idea to support your retirement. Essentially an annuity is the promise by one party to pay another party for a specific period of time with certain conditions, and until a certain limitation or event occurs. Annuities are sometimes referred to as reverse life insurance, where an individual pays a lump sum (or makes regular payments) to an insurance company, and the company then grows those payments through investments. The insurance company then pays back the money over a period of time to the same individual. Additional money can be added to an individual’s annuity, even after payments start. The first fixed indexed annuity was developed in 1995 by a Canadian company, Keyport Life, to provide their clients with interest credited above their standard minimum guarantee by buying call options on an equity index. In this way, the annuity was hedging its guaranteed interest rates paid to subscribers with a product that had potential for paying out even higher interest rates. At a time when the bond market was producing negative gains, banking institutions were providing lackluster interest guarantees, and the markets were experiencing wild swings, the FIA with its guaranteed principal and guaranteed interest plus the potential for further growth potential made sense to many investors. Annuities themselves are not new. Archeological evidence suggests that the Ancient Egyptians had an annuity for one of their princes. Further evidence of the concept of paying out dividends or a stream of income to an individual or a group of people has been found in the Roman Empire as well. In fact, the Romans were able to pay one lump sum into their “annuity” and then receive an annual stipend until their death or a specific time period. The first fixed annuity was offered in the U.S. in 1759 to Pennsylvanian Presbyterian ministers and their families. At the time, annuities were vehicles of the wealthy and were slow to grow into the massive market they now represent. Yet with the stock market crash in 1929, these were seen as safe havens for Americans and their savings against volatile stocks. Their growth continues to this day. A new annuity variant, indexed annuities, sprang into existence to take advantage of a very specific solution to an issue investors were having as a result of the interest rate hikes in 1994. As the bond market crashed and returns were very poor, investors were looking for a better product that could offer the same security. Unfortunately, bank products like money markets and CDs could not offer significant returns even though they were considered ‘safe’ investments. Variable annuities, which were introduced in 1952, began to lose favor in the 90’s. Because the value of variable annuities is tied to the performance of mutual funds that invest in stocks, bonds and money markets, the performance of variable annuities suffer in rocky stock market environments. As variable annuities experienced negative returns, with stock funds in the same situation, investors began looking for another option. With fixed annuities interest rates experiencing a long downward slump, the market was ripe for a new annuity product and the Indexed Annuity was born. This new kind of annuity offered a safe harbor for an individual’s retirement nest egg while provide the opportunity of growth that could beat the lackluster rates in bonds or certificates of deposit. Keyport Life and Genesis Financial of Canada introduced the first equity-linked indexed annuity named the KeyIndex in February of 1995. The first purchaser paid $21,000 for the first premium, which at the end of the five-year term was worth $51,779––an amazing return by any standard. By the end of 1995 other insurance companies saw the opportunity and started offering their own products. By the end of that first year there was over $130 million in sales of FIAs. During these first five years, FIAs saw tremendous growth––from just two carriers in 1995 to over 50 carriers by the end of 1999. Not only did the number of carriers increase year over year, the number of crediting methods and indices offered grew dramatically as well. Crediting is the term used to describe the calculation method for an FIA in distributing interest to a policy holder. With over 27 different methods in existence by 1999 on four separate indices, the FIAs began to get a bit more complicated. During this growth period, the SEC held a determination comment period on FIAs to help determine whether they should be considered securities, at the end of which the SEC determined annuities should not be reclassified as such. Calls for balanced language for all marketing materials where also made by many state legislatures to help ensure purchasers of these products are not mislead. Despite added regulatory and legislative scrutiny, this period ended with over $5 billion in annual FIA sales. The end of this period also saw the beginning of the longest Bear market since the Great Depression. FIAs would truly be tested. At over 600 days long, the Dot Com stock market crash of 2000-2002 was the longest bear market seen since the Great Depression. The crash saw a total stock market loss of 38% in value along with the toppling of Enron and WorldCom. The 9/11 terrorist attacks further fueled this massive sell off in the U.S. markets. Although the start of this period was marked with slow growth, FIAs almost doubled in sales in 2002, from $6.5 billion to $11.7 billion, proving their worth especially in a volatile Bear market. During this time, courts also ruled that FIAs are not securities, putting the issue finally to rest. However, further regulations were instituted in certain states. Dubbed the 10/10 movement, regulatory changes saw the surrender charge period of fixed indexed annuities limited to 10% with a maximum of a 10% charge for contracts. With a bull market back in swing, the FIA market started a slow but steady climb during the market’s recovery. The National Association of Securities Dealers (NASD) attempted to exert control over FIA regulations by releasing to its members Notice 50-50 declaring that FIAs must be treated as securities; a question still remains whether or not they have the jurisdiction to do so. In 2006, the NAIC instituted the first GLWB, guaranteed lifetime withdrawal benefit, from which another industry-instituted consumer standard is started. The FIA industry goes through another round of consideration whether they are in fact a security or not. 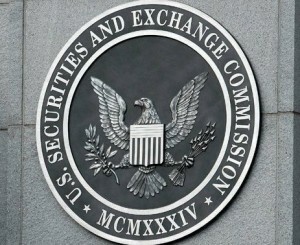 The SEC reverses its early decision and confirms that FIAs are securities in January 2009. This remains in effect until July 2010 when the Dodd-Frank Wall Street Reform and Consumer Protection Act reverses the SEC decision and turns FIAs once again into fixed products and not securities. By the end of 2014 FIAs represent over $47 billion in sales and have stood the test of time offering returns comparable to equities or equity and T-bill combinations.